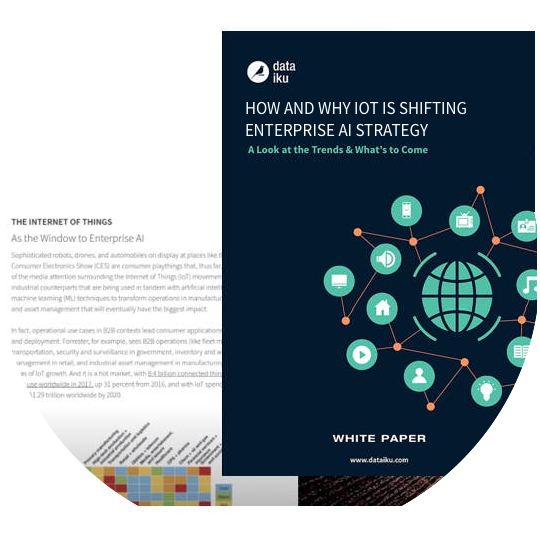 Industries like transportation, manufacturing, utilities, and more have lots to gain in turning Internet of Things (IoT) advances into enterprise AI strategy - find out why & get started with this free white paper. An overview of industries that have the most to gain from IoT combined with enterprise AI strategy. A look at the roots of today's IoT, which are in machine-to-machine communications and the industrial movement. Real-life examples and use cases of companies already succeeding in the space. An in-depth review of challenges presented and potential solutions to getting the most value from IoT data.